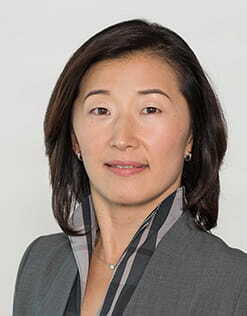 Reiko has been managing Japanese equity portfolios for 18 years and, since joining GAM, has become an integral component of our settled Japan equity team, which has established an attractive track record. So, what’s their secret? She goes on to explain that this is actually a quote from her favourite author, Haruki Murakami, whose works have been translated into over 50 languages. Although Reiko speaks English and French fluently (and her German is coming along nicely too!) she openly concedes that she prefers reading in her mother tongue. And with Murakami being prolific with the pen, there is no shortage of her favoured reading material. Away from the library and concert arenas, Reiko clearly enjoys living in Switzerland and identifies a number of similarities with her homeland. “The obvious one is punctuality. This is an absolute pre-requisite in Japan and I like the fact that the Swiss are so proud of their train services. There is also the alignment with peace and harmony – we call it ‘wa-culture’ in Japan. It basically means that it is impolite to come directly to the point – make conversation with people…don’t order them about. “In addition, both countries are obviously steeped in history and their citizens are justly proud of their heritage. I love to visit museums in Japan, Switzerland and all over Europe. We greatly respect ceremonial rituals in Japan and there are small shrines and temples, even in the residential suburbs. The emphasis is always on spirituality rather than religion. Reiko has been smiling throughout the interview, but there is an added twinkle in her eye as we shift topics to discuss the aspects of her role she enjoys the most. Stock selection, stock selection and stock selection! “In the preceding 25-year period, the occurrences of such scenarios were very few and far between. To quote the late and legendary Sir John Templeton “the four most expensive words in the English language are ‘this time it’s different.’” In accordance with this four-word mantra, investors look for reasons to justify the emergence of a recent phenomenon and why it should continue. The yen / equity correlation is no exception. There is a hugely exciting and evolving corporate landscape in Japan so why would we want to get absorbed in matters we can neither control nor predict?"